4 Comments on "Hunter’s Stew is Polish comfort food"
Could you recommend a less expensive and easier to find mushroom ? I always add 2 bay leafs, glass of red wine, pepper corns and ends of cold cuts. (Leave the sink out ) . 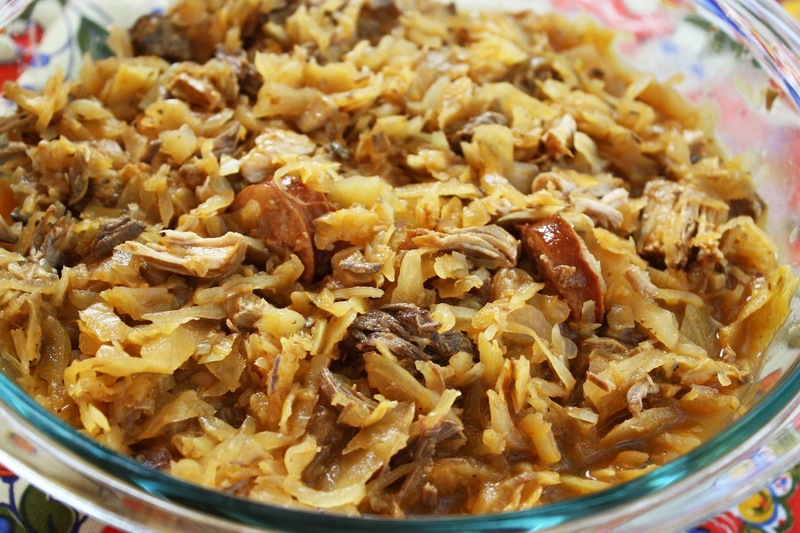 More kraut. Dziekuje za inne domowe przepisy. Is the glass of red wine for the pot or the stew? If it is for the pot, by all means double the wine & give the other half to the cook. Tastes better that way.